Redmi Note 3 is the best selling phone in Indian, and most of the android user are already bought this device. Many of them already unlocked the bootloader of the phone and rooted their Redmi Note 3. 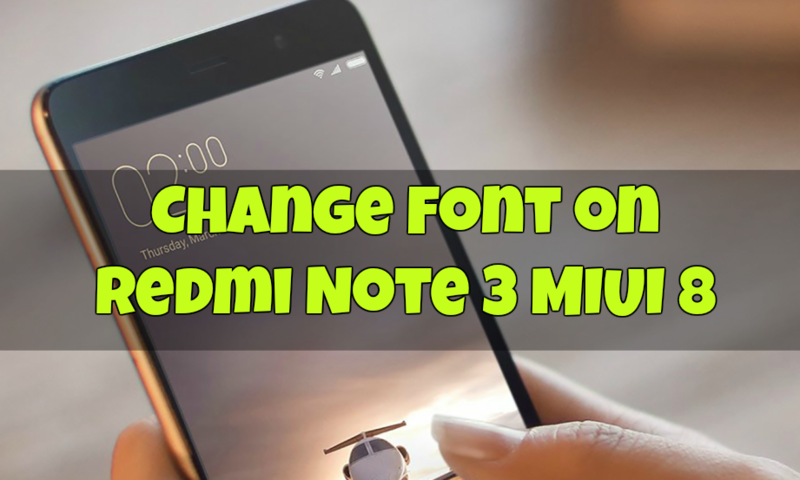 And many of the Redmi Note 3 users are contacting us from last few days and asking one question “How to Change Fonts on Redmi Note 3” or “Change Font Style in MIUI 8”. There are so many ways which you can use on your phone and change the fonts style on any OS. But if you are the rooted user then you can do this easily with a simple application. So here in this guide, we will explain how to quickly change the fonts on Redmi Note 3 or any Xiaomi phone running on MIUI 8 or MIUI 7. This guide is only for the ROOTED phone users. If you are the non-rooted user then you have to choose a different method, which is lengthy and take so much time to proceed. Here you can see the video, in which you will see how non-rooted users can change their phones font. So let see how the Redmi note 3 rooted phone user swill use this method and change the default fonts with other fonts. This guide is only for the Xiaomi users don’t apply this method on any other phones. 1. The process is simple and you need a rooted phone. To get started download Font App (Root) apk file here and install the same on your phone. 2. Once the app is successfully installed. Open the App and Go to setting and take the Backup of your phone’s default Fonts. In future you want to come back to the default font then you can quickly restore them. 3. Now close the app once and open the application again. Now you will lots of fonts on your screen. 4. Select the font which you want to use and download the same on your phone. 5. Once the font is downloaded on your phone. It will ask you to reboot. Select OK.
6. Now your phone will boot and you will see the new fonts SAtylke on your Redmi Note 3. Here is the video guide. So with this simple app, you can easily customize the fonts of your rooted Redmi Note 3.